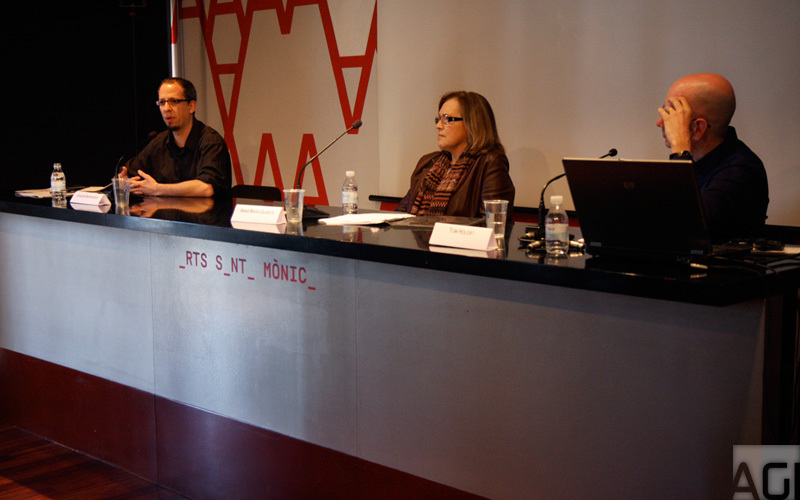 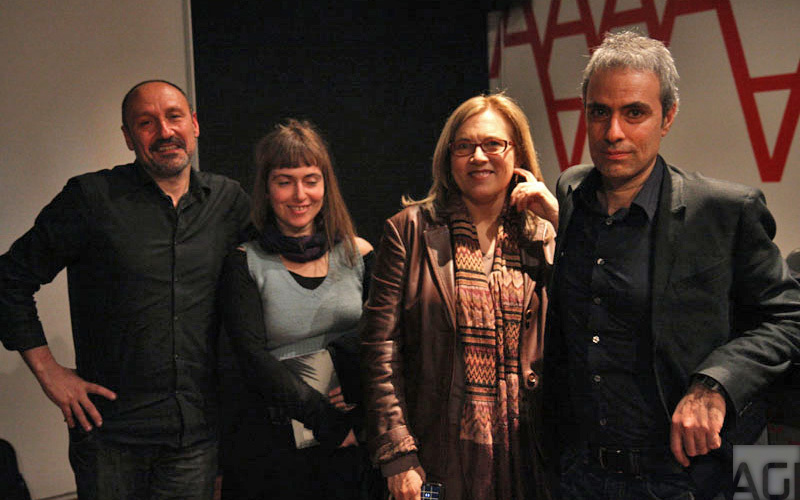 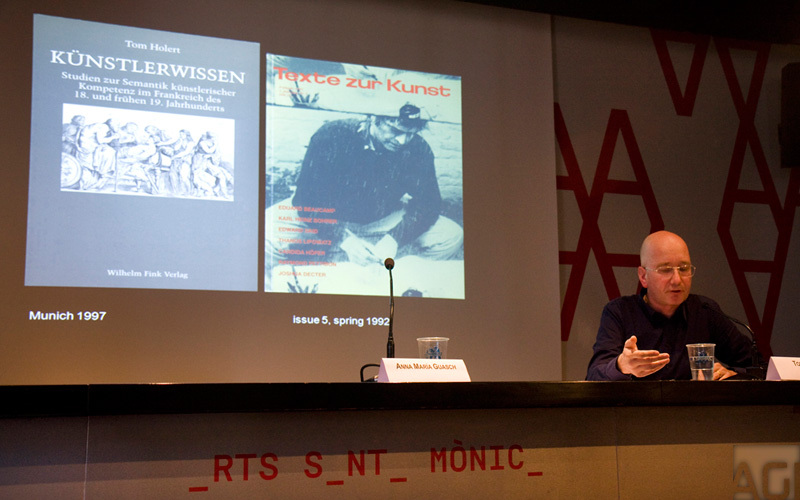 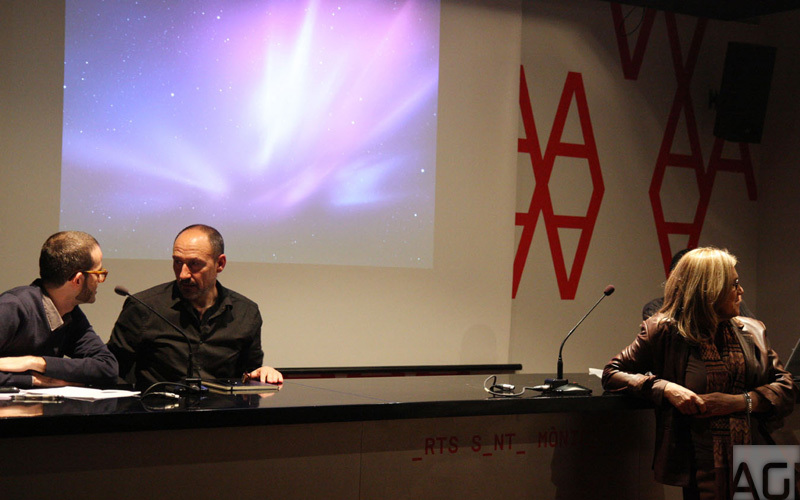 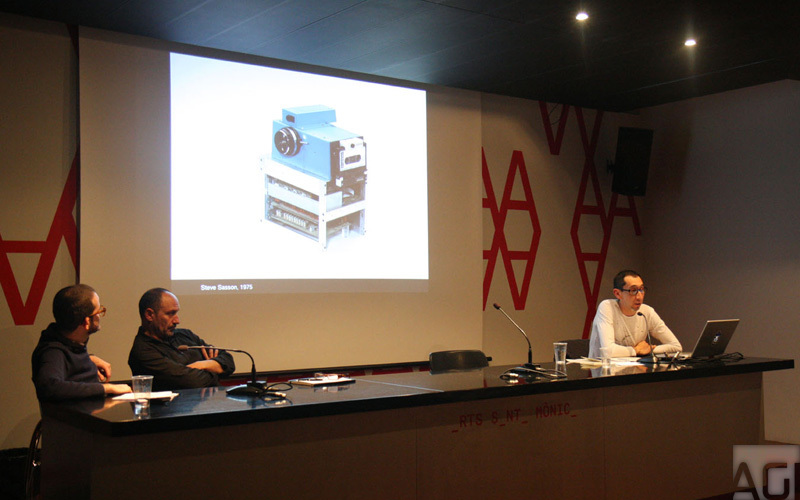 Expanded Photography: Have Contemporary Artistic Practices dissolved the Photographic Ghetto? 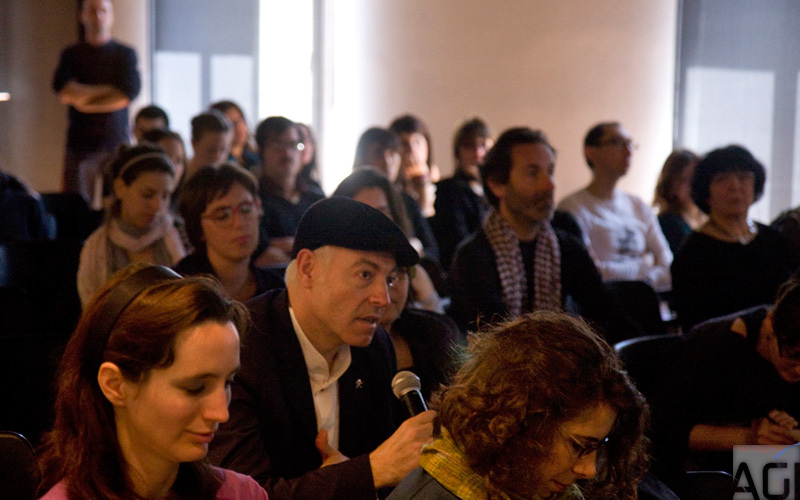 The debate proposed for the fifth edition of VC/GD focuses on the way in which current globalization has questioned, reinvented or disrupted the discourse of cultural difference. 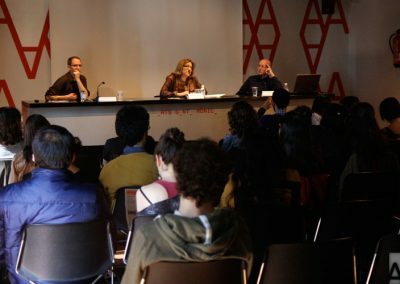 Thus, the ambiguities and false universalism of so-called ‘feminisms’ and ‘post-feminism’ will be the starting point of this symposium. 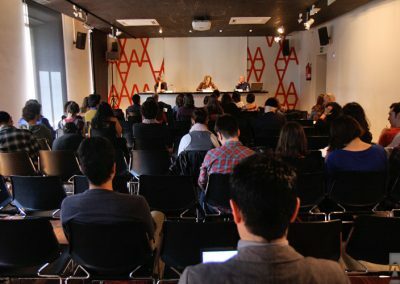 As we will try to bring over the table, the South-South dialogue and the diversification of traditional forms of knowledge production have produced a radical epistemic turn. 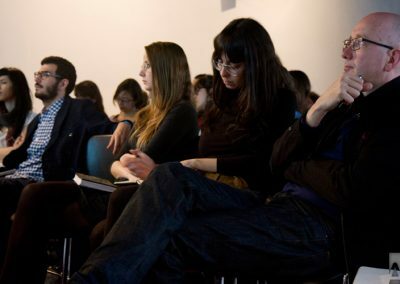 Diverse disciplines (including geography, anthropology, sociology, art history, among others) and certain fields of study (such as visual, identity, production/reproduction of culture) have been drastically questioned by this epistemic shift. 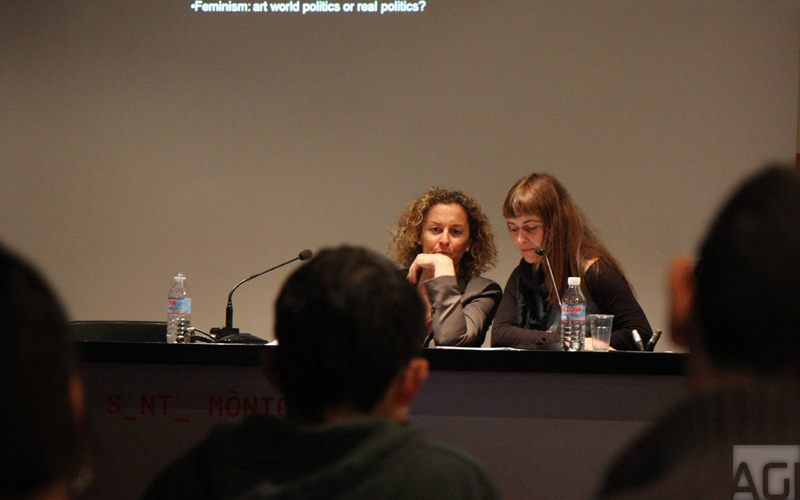 How does feminist art history deals with intersectionality? 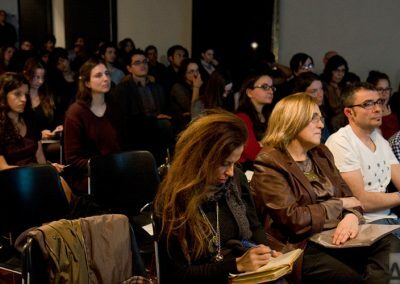 How can we articulate at a global scale claims made by divergent movements such as chicano feminism, ‘black feminism’, Caribbean feminism, feminism of the multitudes, etcetera, without appealing for universality nor perpetuating the Eurocentric liberal feminism? 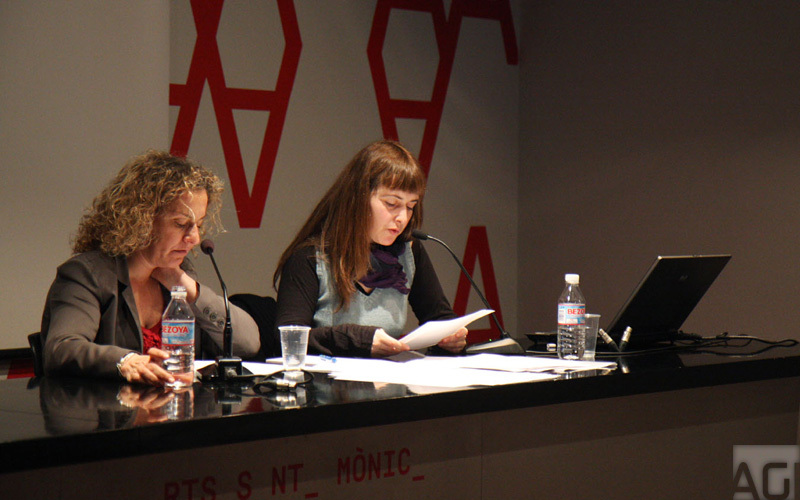 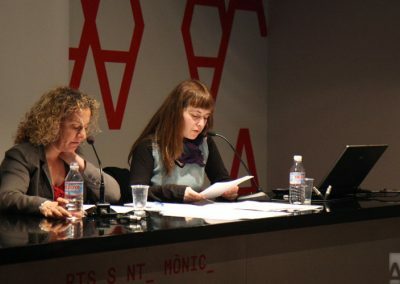 Finally, as Angela Dimitrakaki has pointed out, Is it possible to reactivate the project of a feminist and materialist method addressed to the art world in particular and to the global production of knowledge in general? 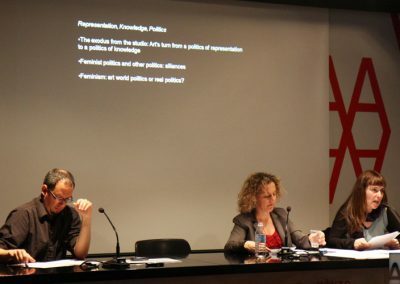 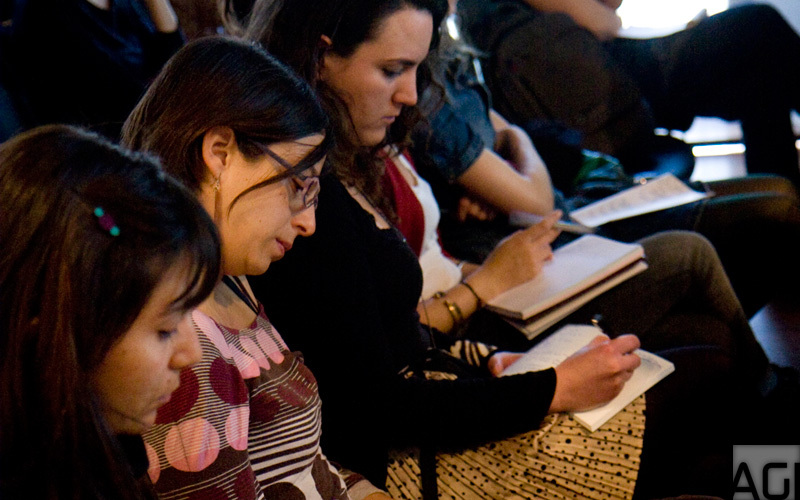 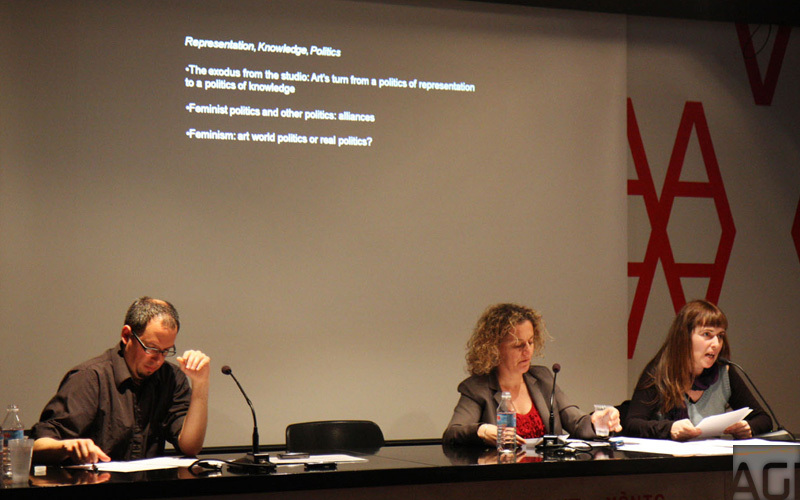 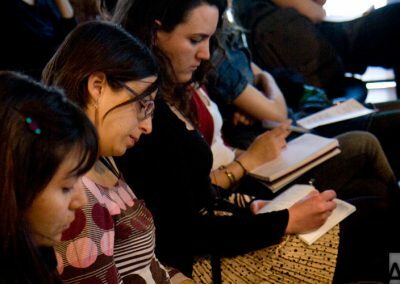 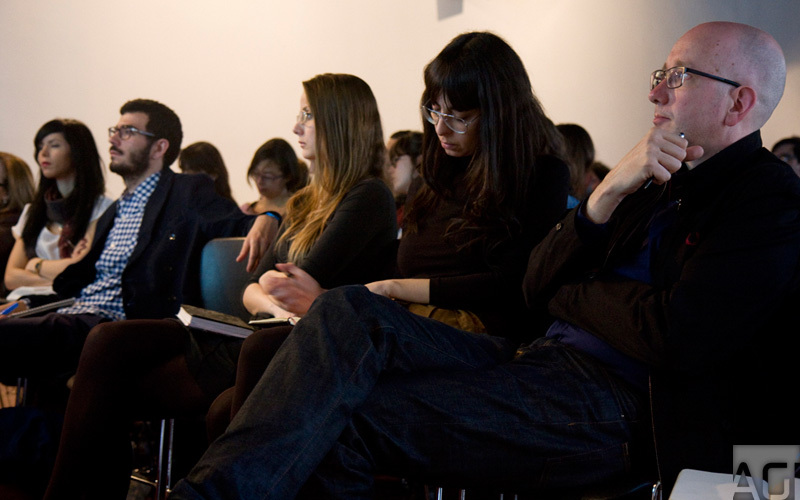 Dr Angela Dimitrakaki is a writer and Senior Lecturer in Contemporary Art History and Theory at the University of Edinburgh, which she joined in September 2007. 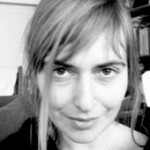 She is Programme Director of the MSc in Modern and Contemporary Art: History, Curating and Criticism and teaches undergraduate courses on art and its contexts since the 1960s, including on aesthetics, politics and globalisation, feminism and sexual politics. 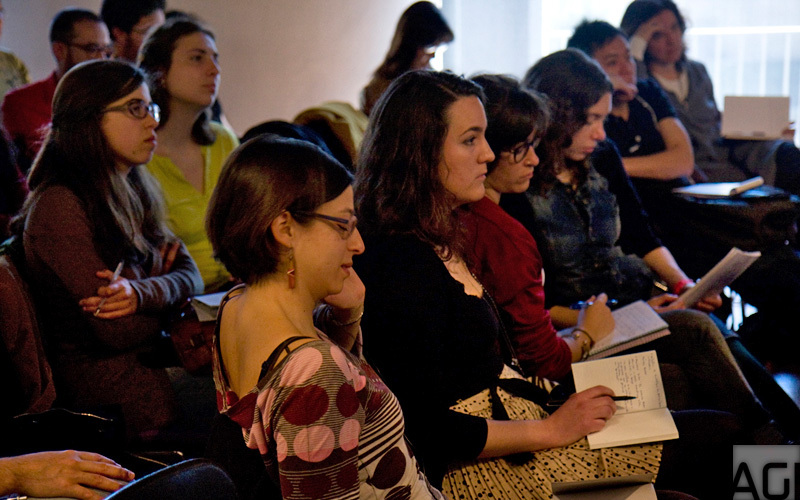 Since her appointment at Edinburgh she has been supervising an average of five doctoral students per year. 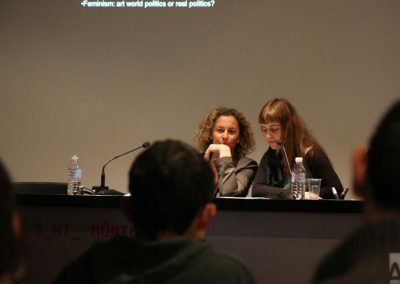 She works closely with her doctoral students, often collaborating in projects, to enhance art history’s social relevance. 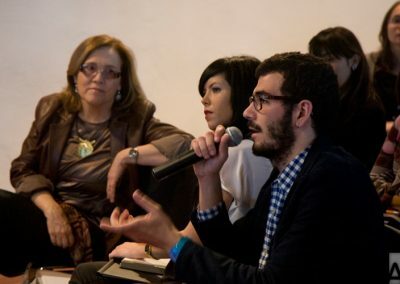 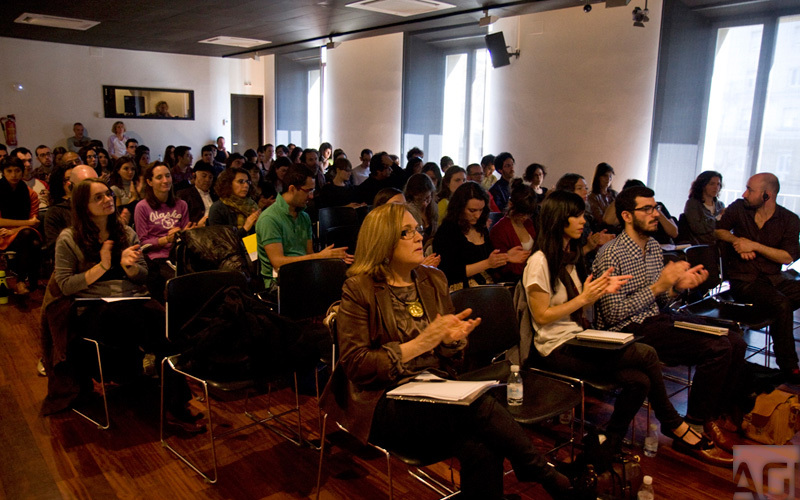 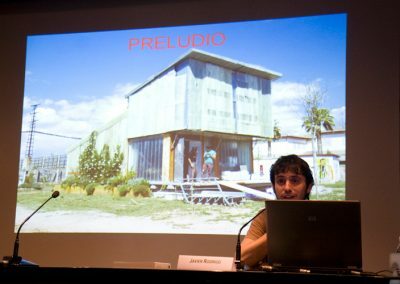 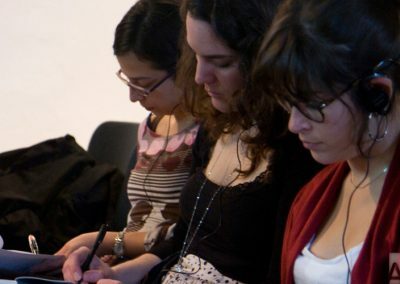 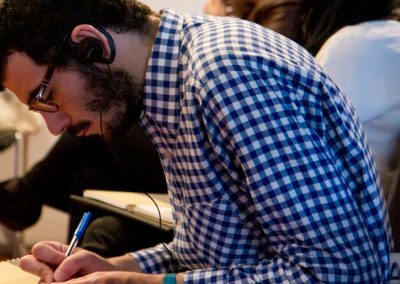 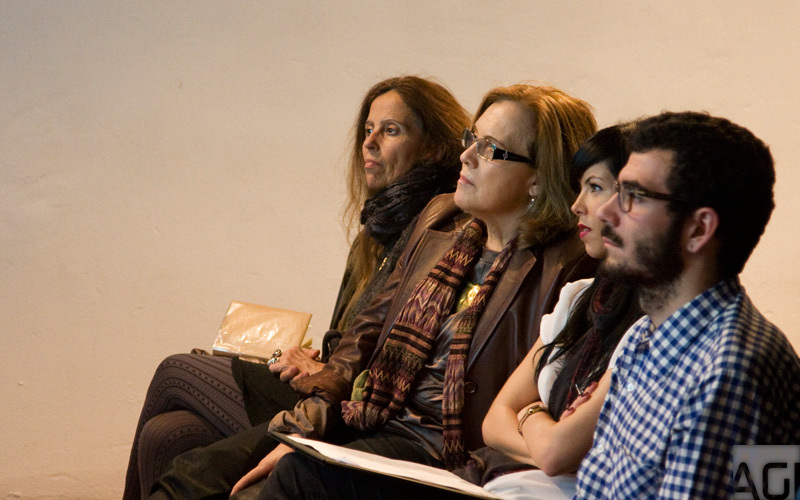 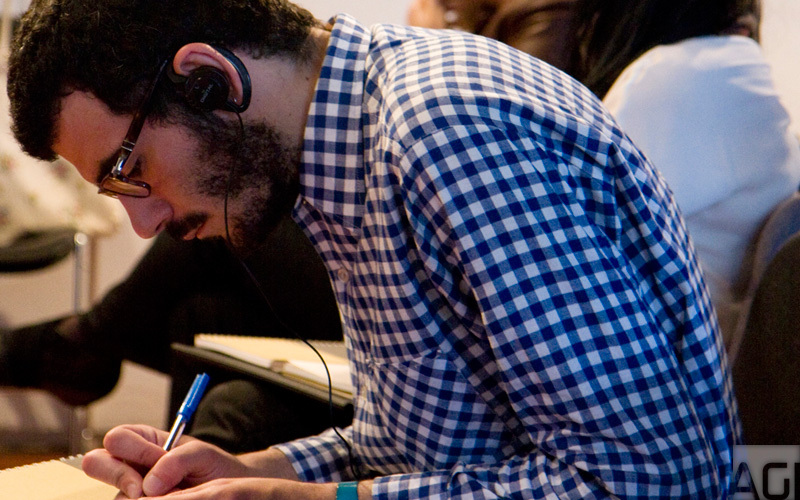 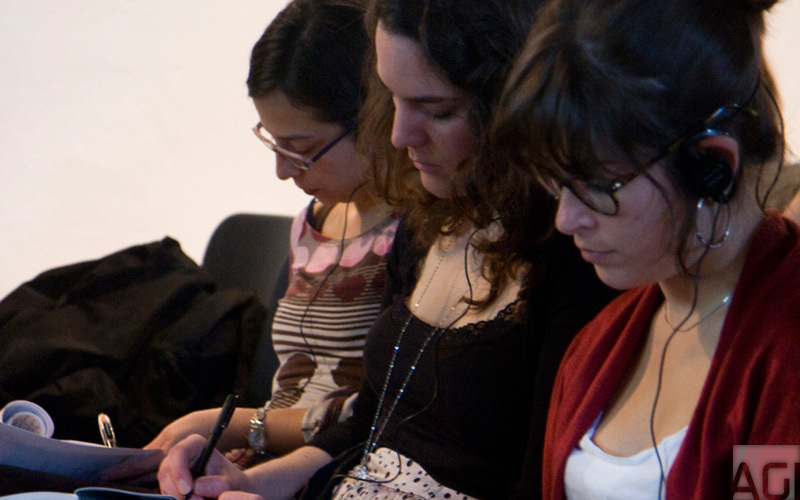 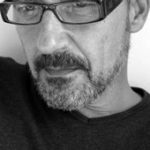 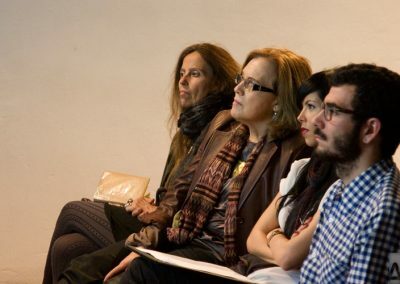 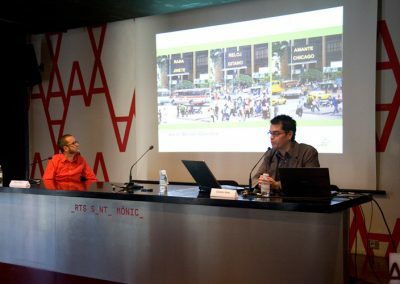 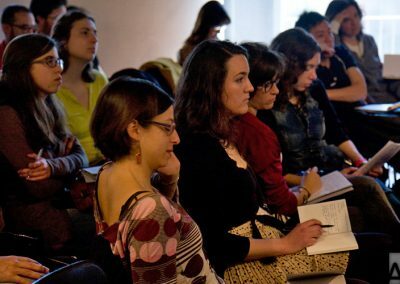 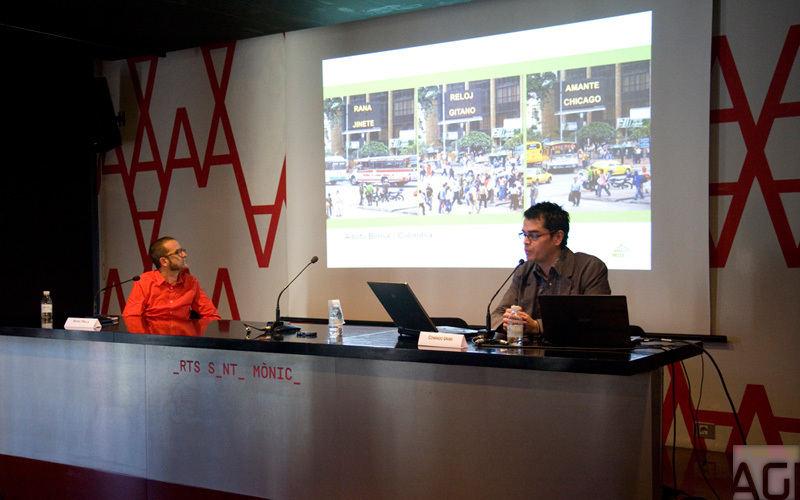 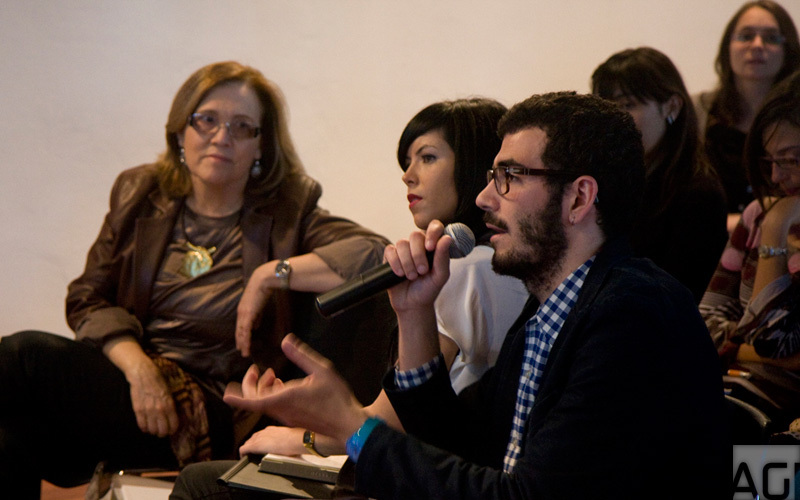 José Luis Bravo teaches and teaches courses on ideation, creation and management of artistic projects, photographic editing, reading and image construction, electronic publishing and art history. 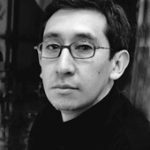 In Mexico he has been a professor at the Universidad Iberoamericana, UNAM, the Latin American Institute of Educational Communication and the National Institute of Fine Arts, among others. 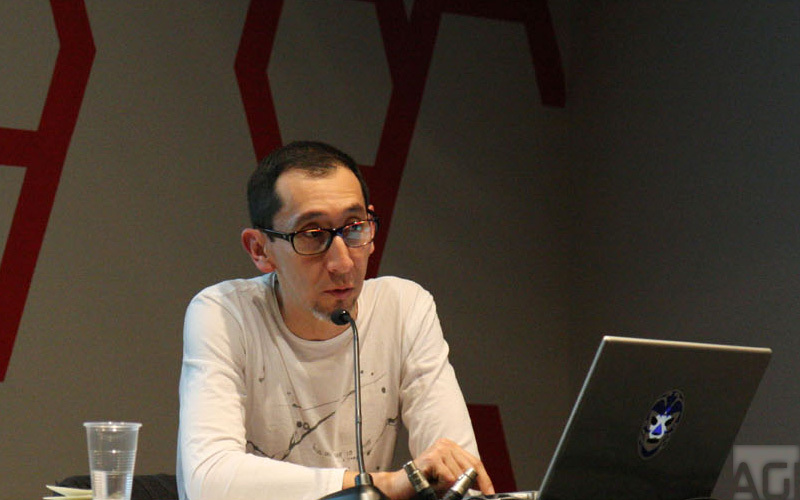 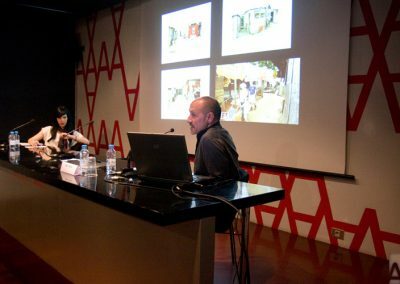 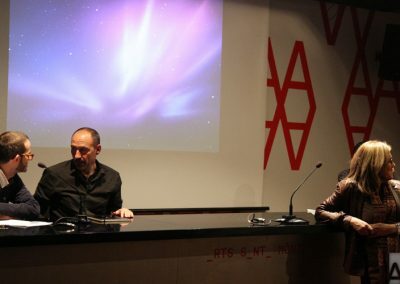 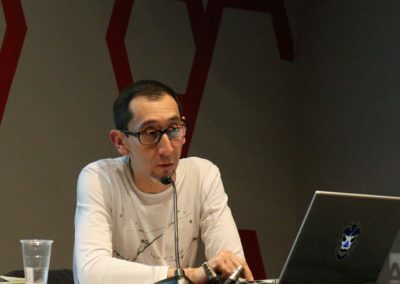 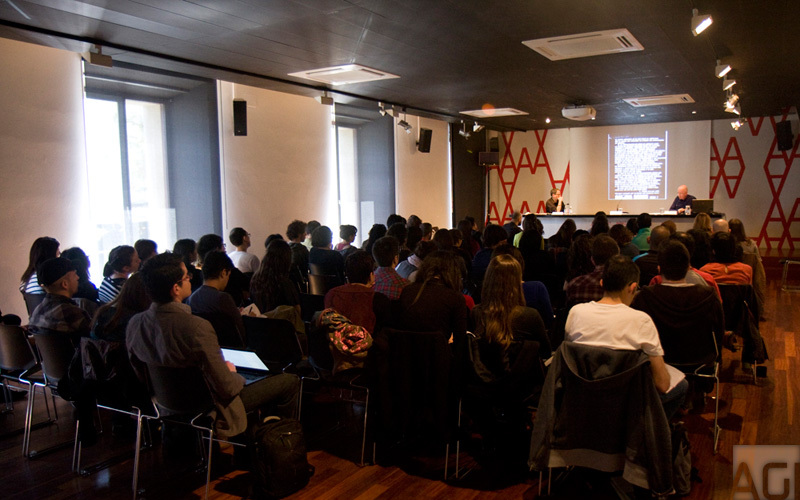 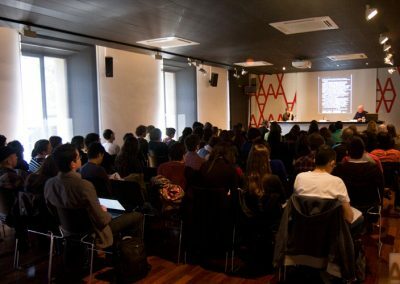 In Barcelona, he is currently Professor of the Master in Digital Arts at the Universitat Pompeu Fabra, at the Institut Superior de Disseny i Escola de la Imatge (IDEP) and at GrisArt Superior School of Photography. 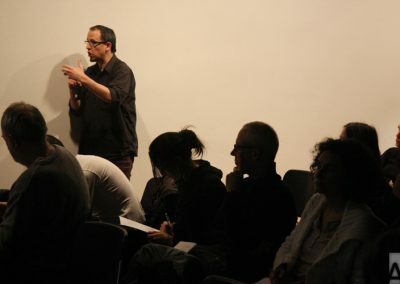 He also designs and gives seminars, workshops and courses. 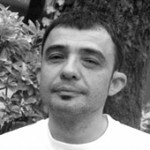 Francesco Jodice was born in Naples in 1967. 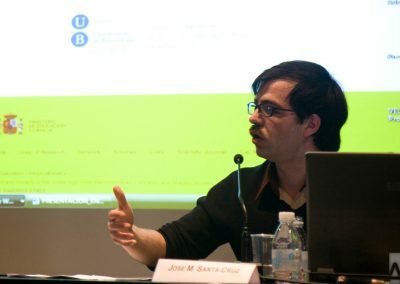 He lives and works in Milan. 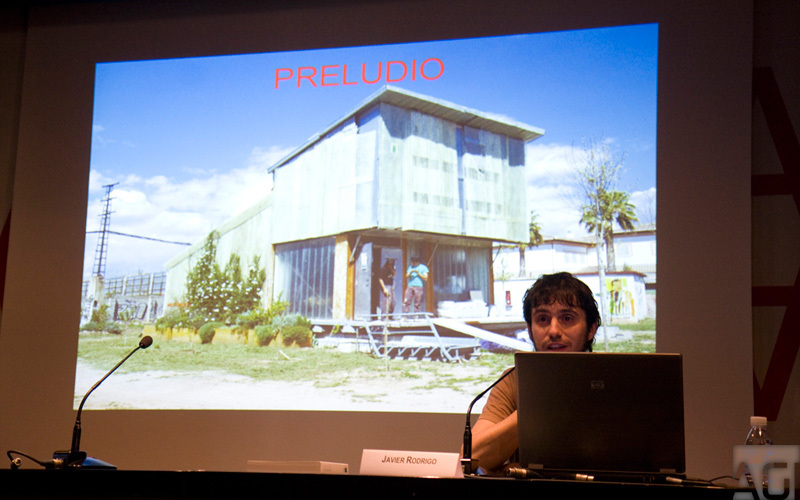 He graduated as an architect and began his artistic activity in 1995. 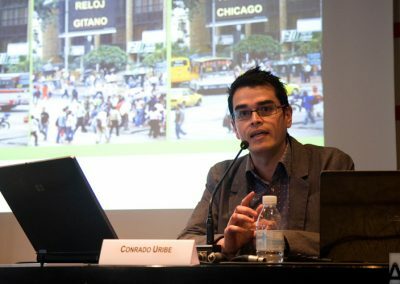 From his very first works, undertaken in a specifically urban area, he has concentrated on an analysis of the new relationships between social behaviour and the urban landscape in various geographical areas. 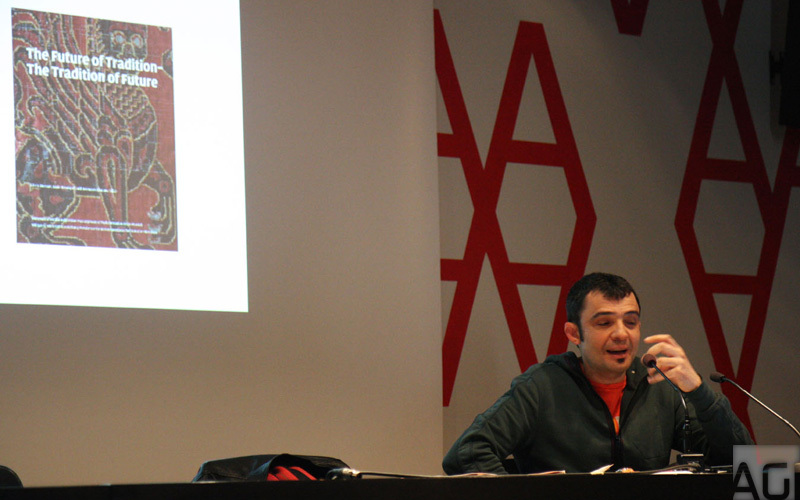 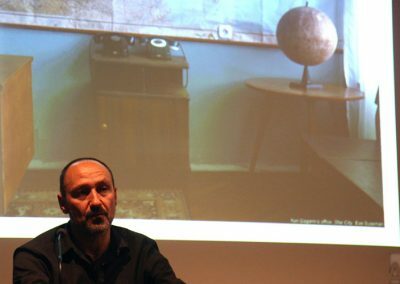 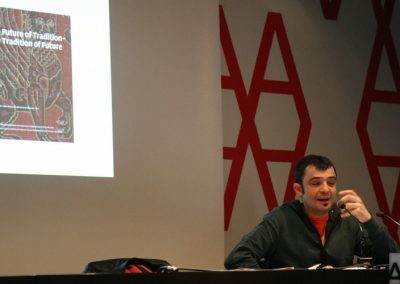 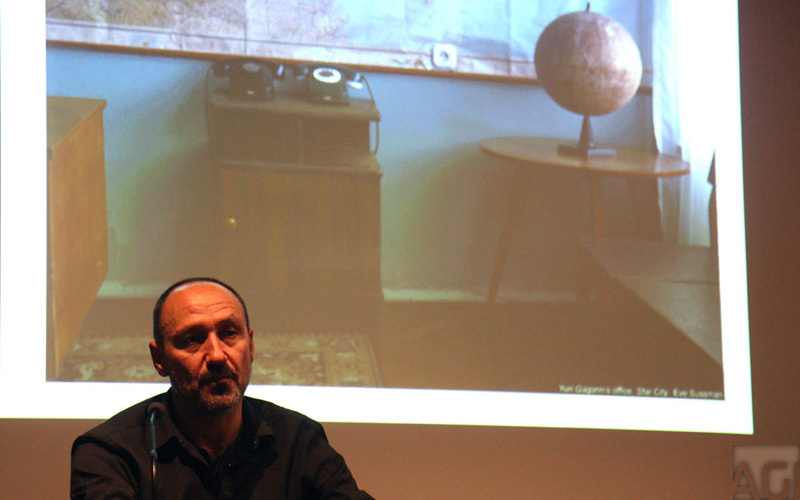 For his works he makes use of different media and combines photography and video with writing and the creation of maps. 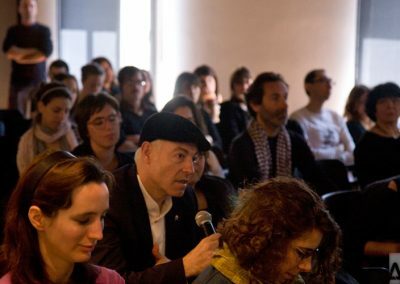 In 2000 he was one of the founders of Multiplicity, an international network of architects and artists which develops interdisciplinary researches into the processes governing the transformation of the condition of cities. 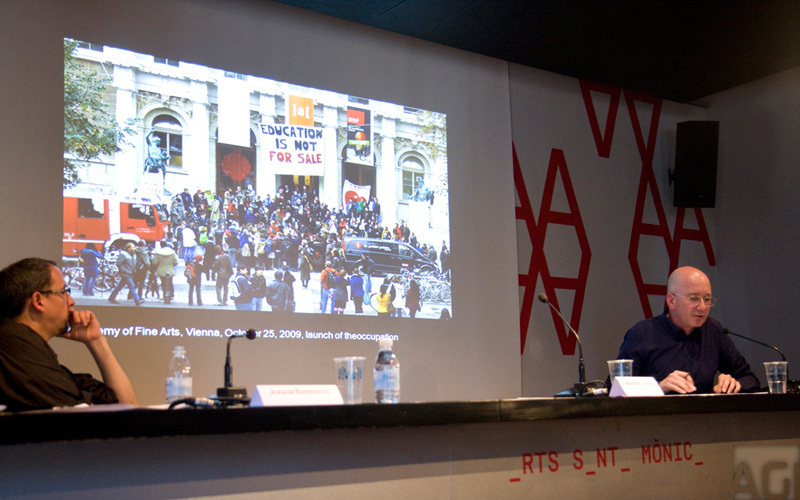 Since 2004 he has been professor of the theory and practice of the technical image at the University of Bolzano and, since 2005, he has taught visual urban anthropology at the Nuova Accademia di Belle Arti, Milan. 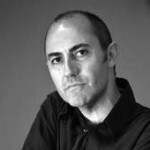 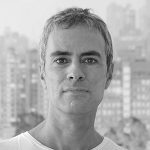 Carles Guerra (Amposta, 1965) has a PhD in Fine Arts from the University of Barcelona and a Master in Media Studies from The New School for Social Research, New York. 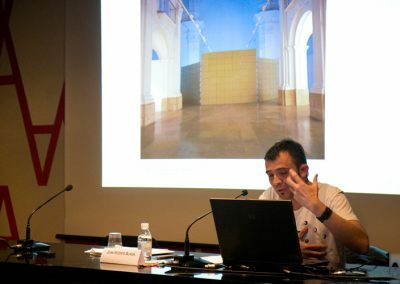 His professional career has developed in the fields of exhibition curation, art criticism, visual production, teaching and academic research. 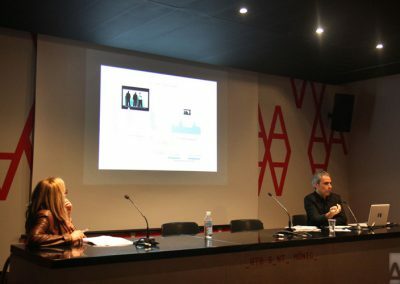 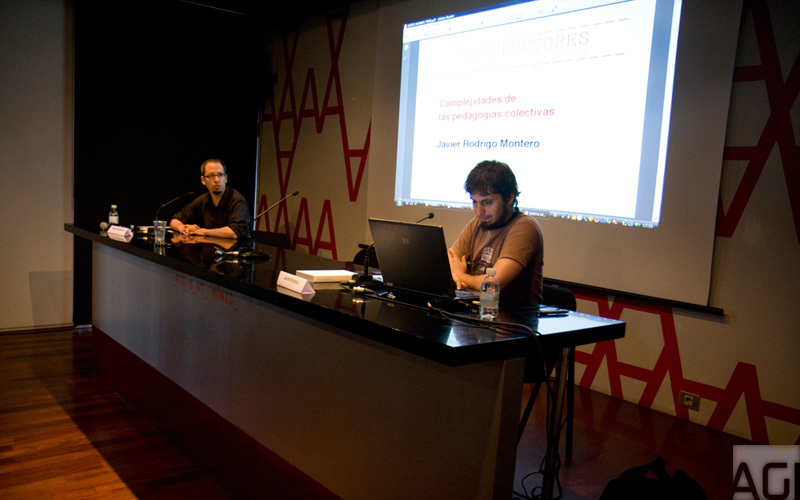 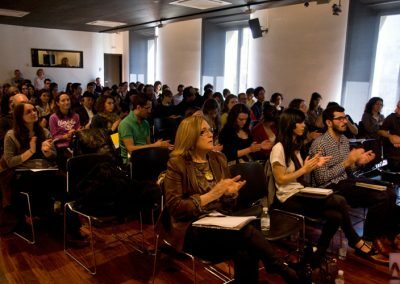 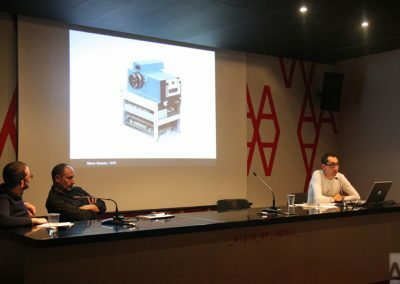 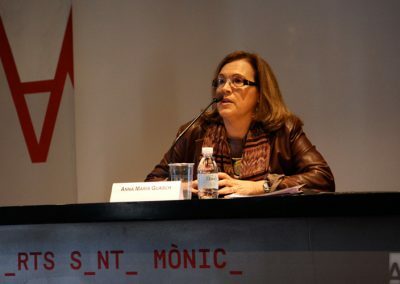 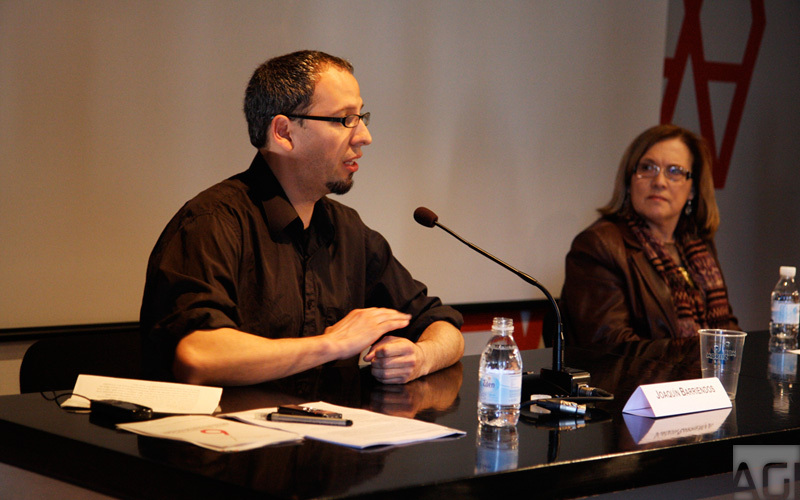 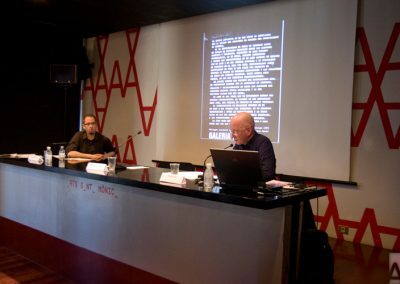 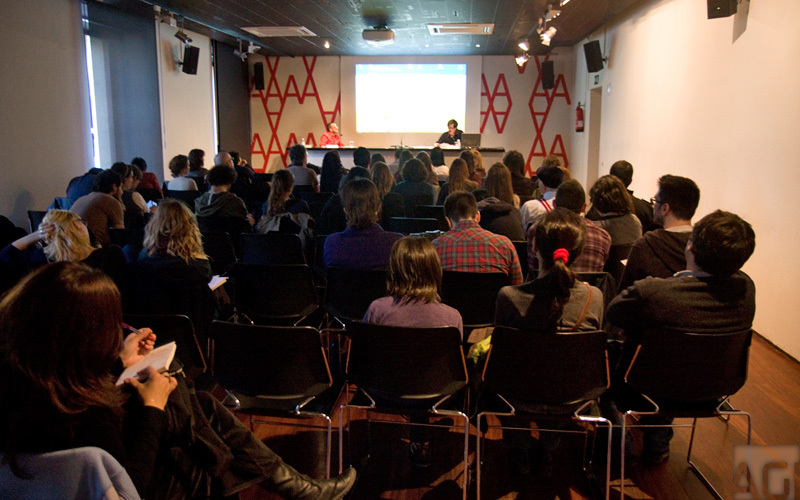 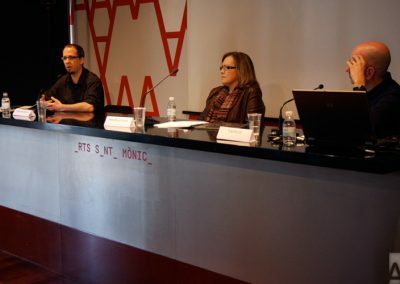 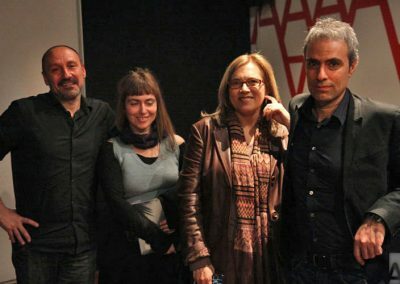 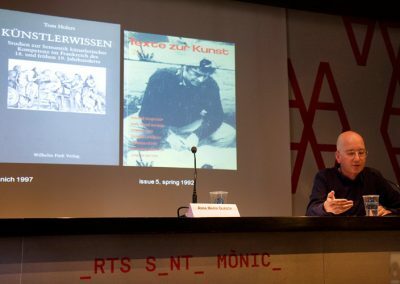 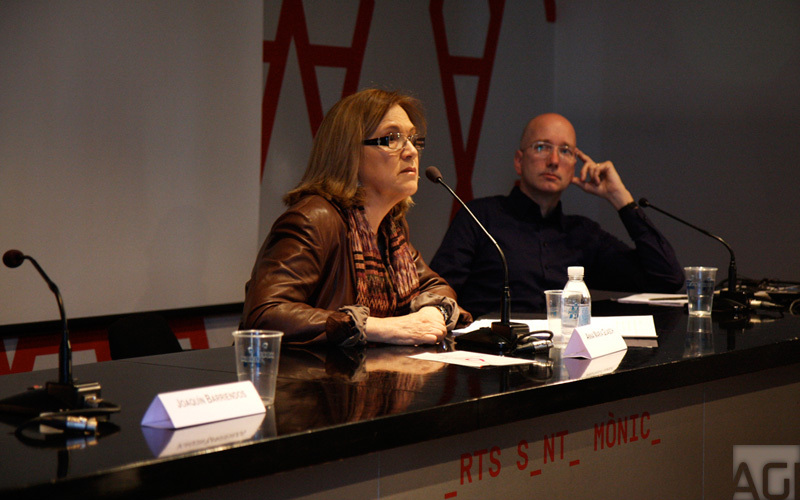 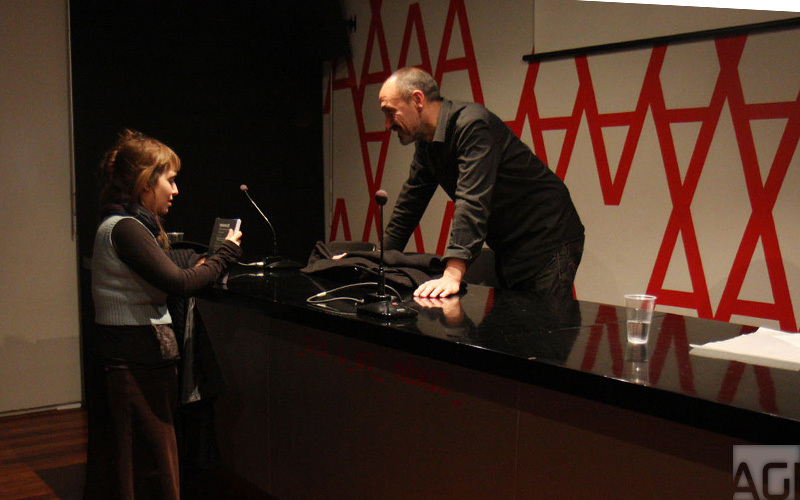 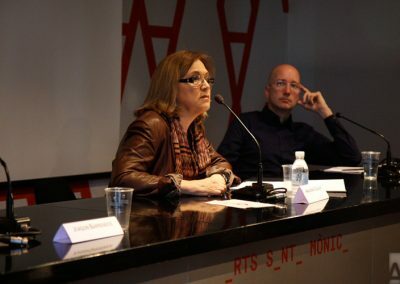 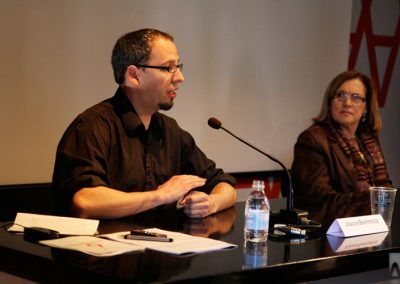 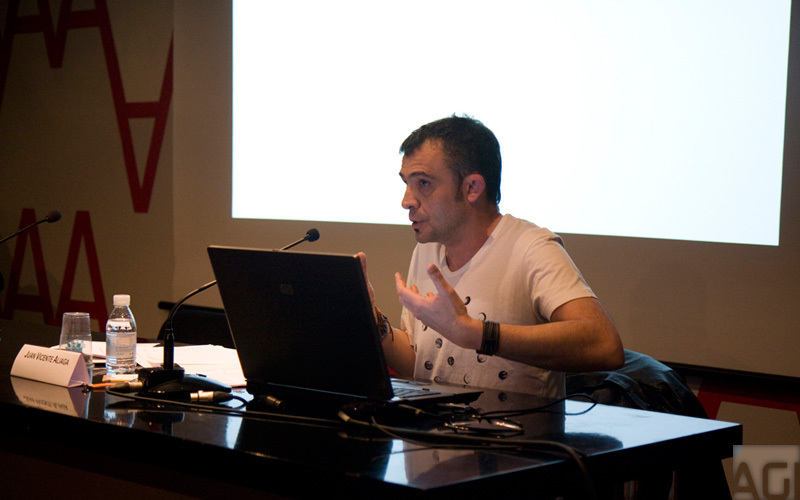 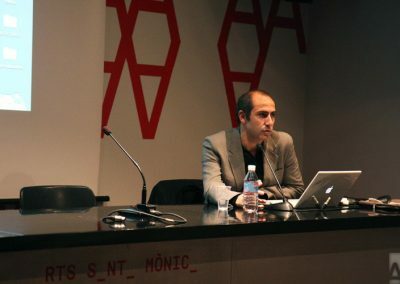 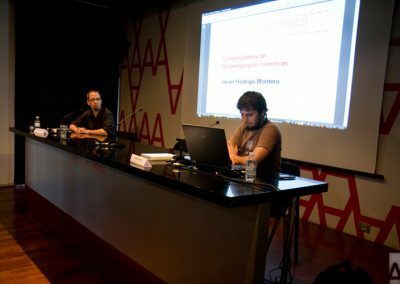 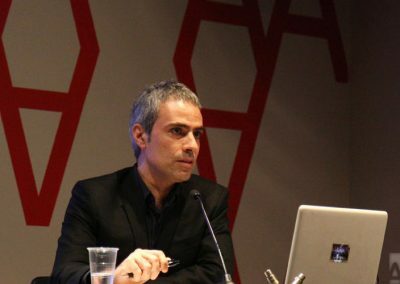 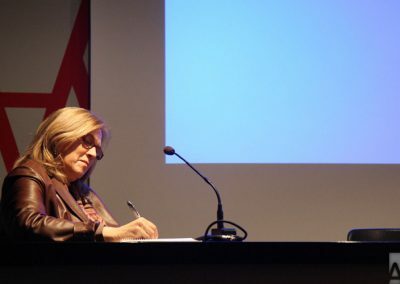 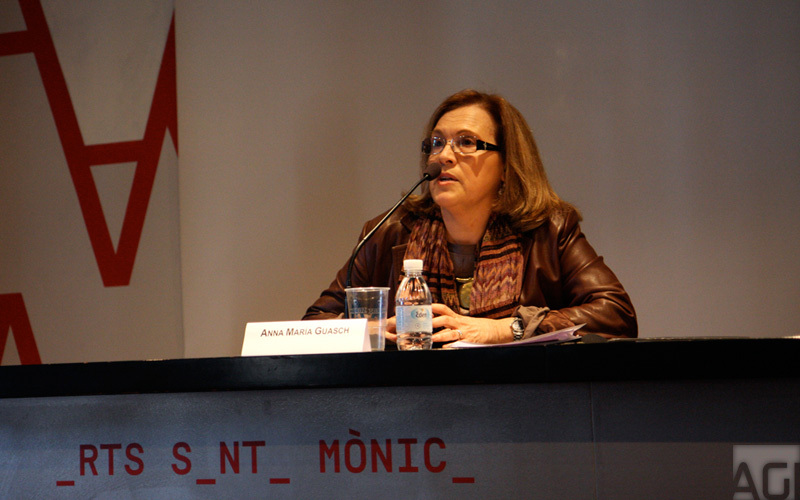 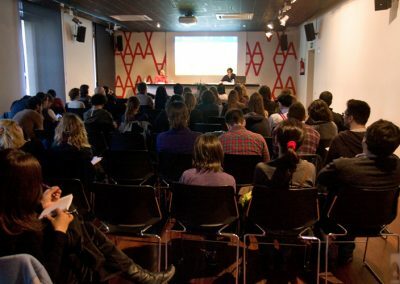 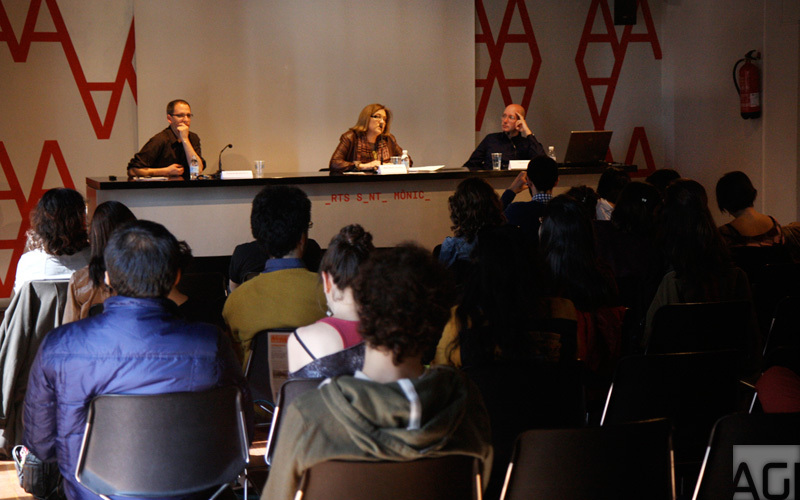 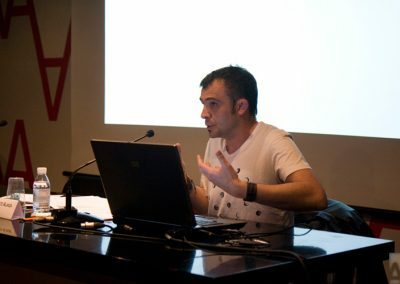 In 2004 he was appointed Director of the Primavera Fotogràfica de Catalunya. 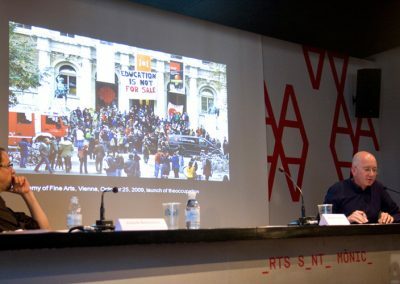 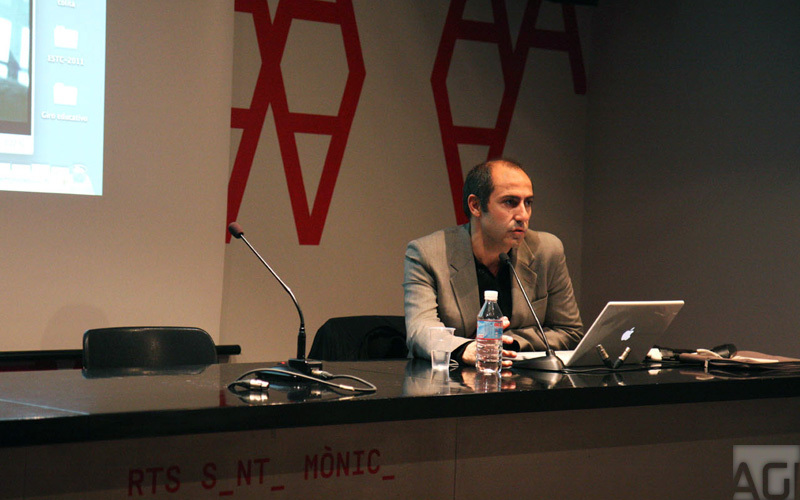 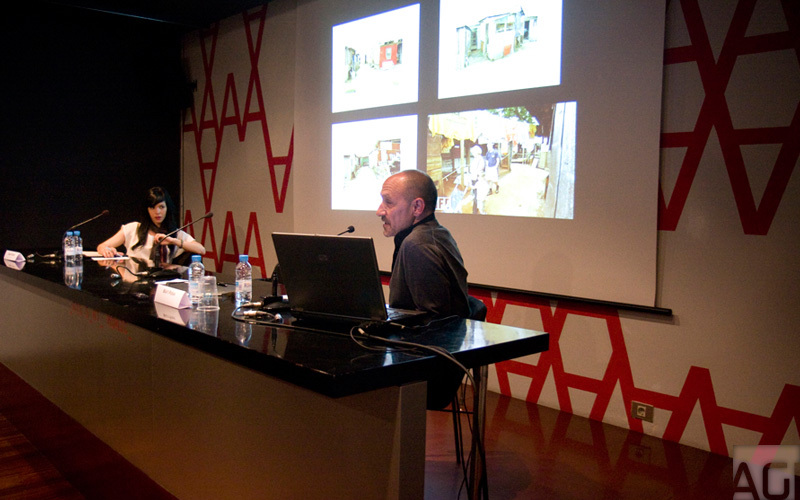 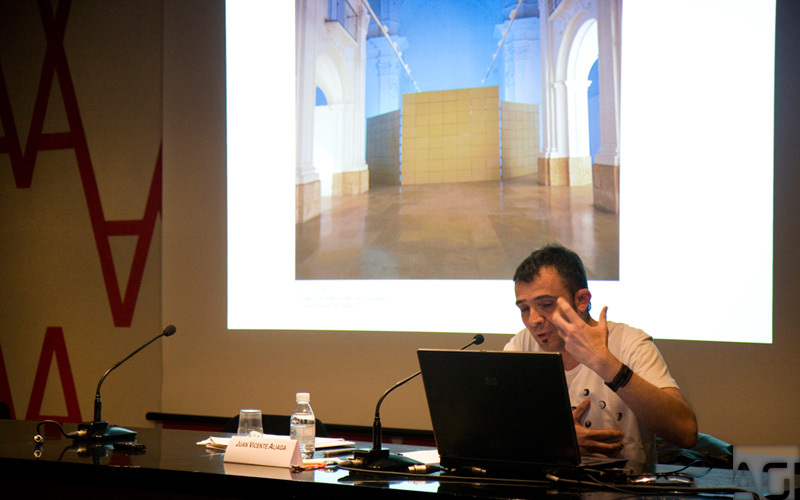 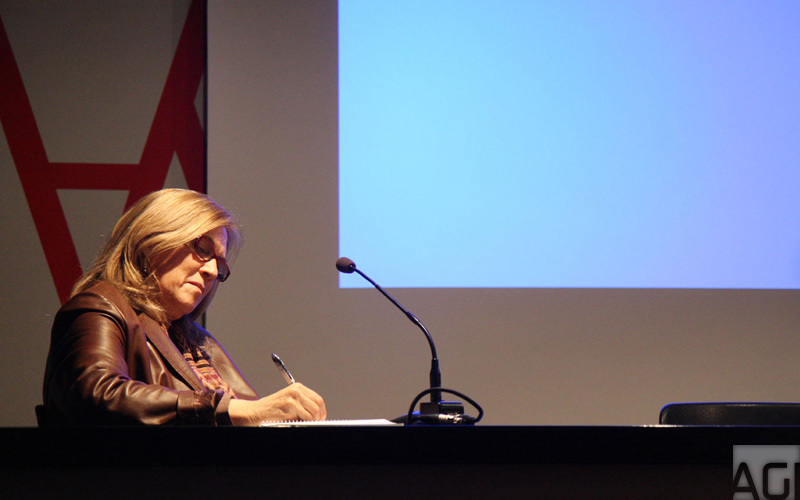 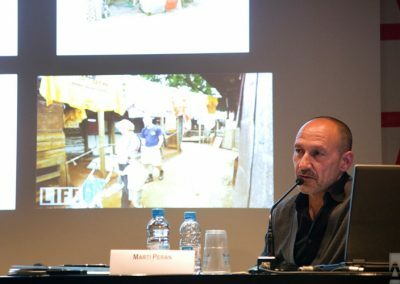 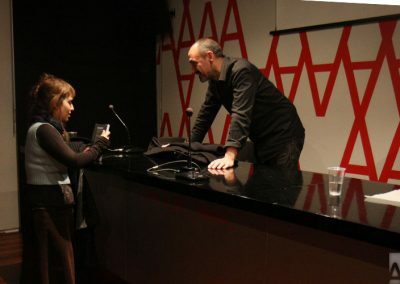 He was Director of the Virreina Centre de la Imatge, Barcelona, from 2009 to 2011, and Chief Curator at the Museu d’Art Contemporani de Barcelona (MACBA) from 2011 to 2013. 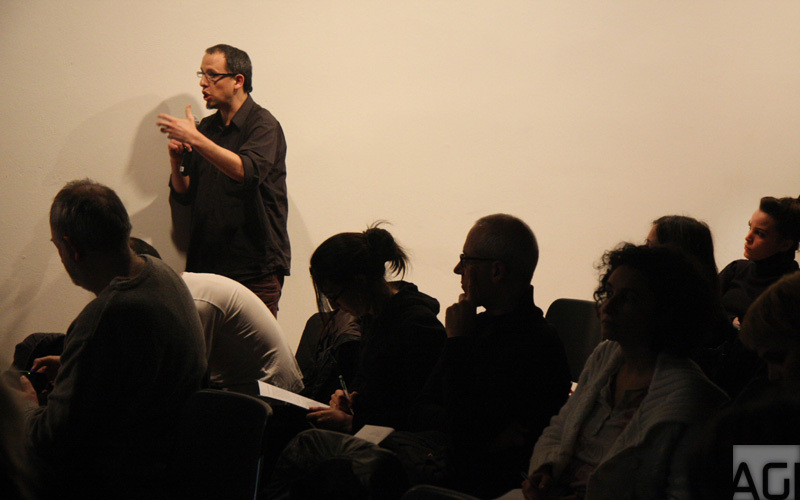 His work and research investigate the dialogical aspects of artistic practice and the cultural policies of Post-Fordism. 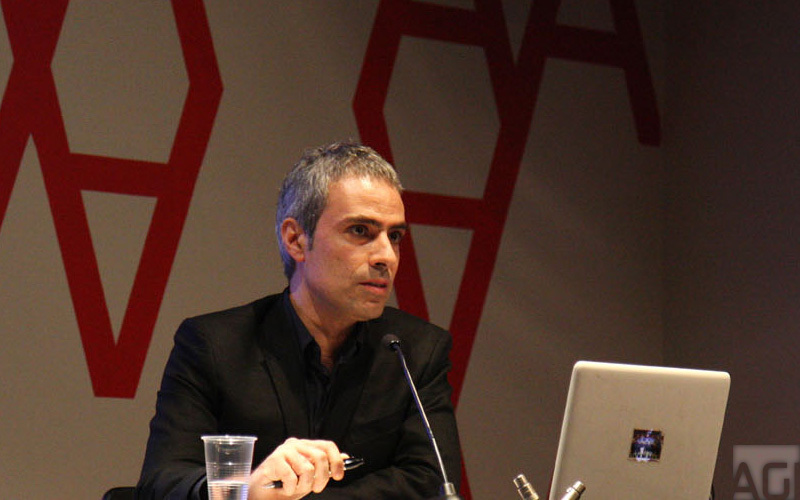 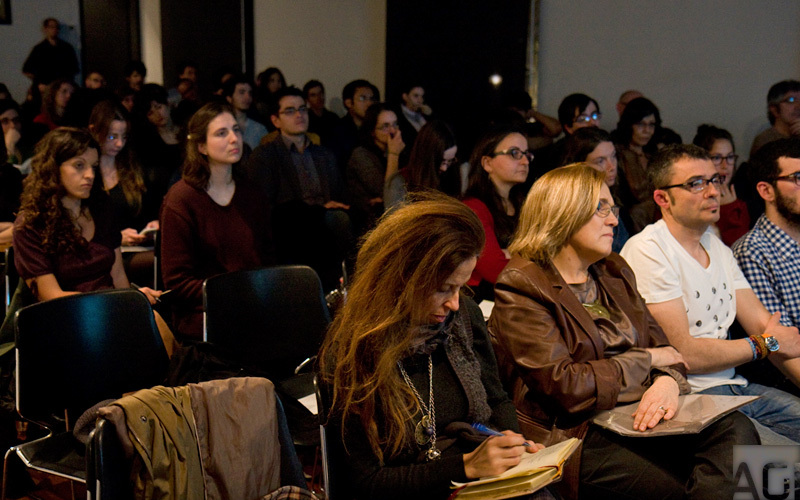 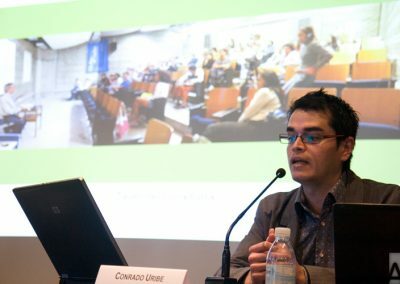 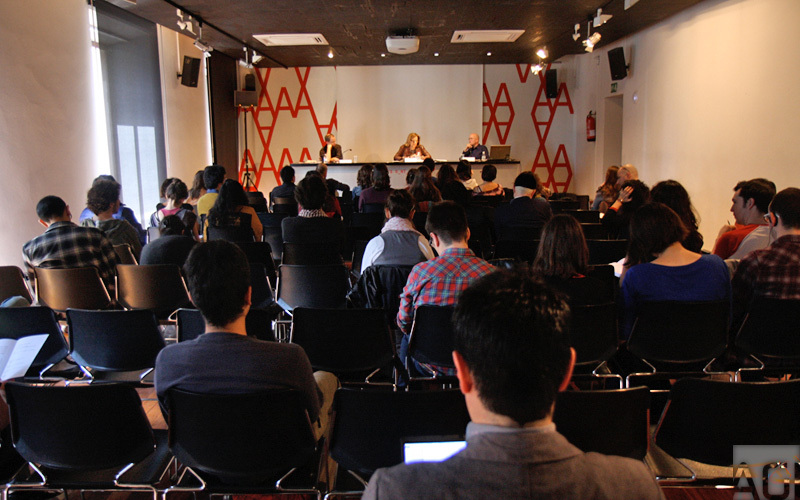 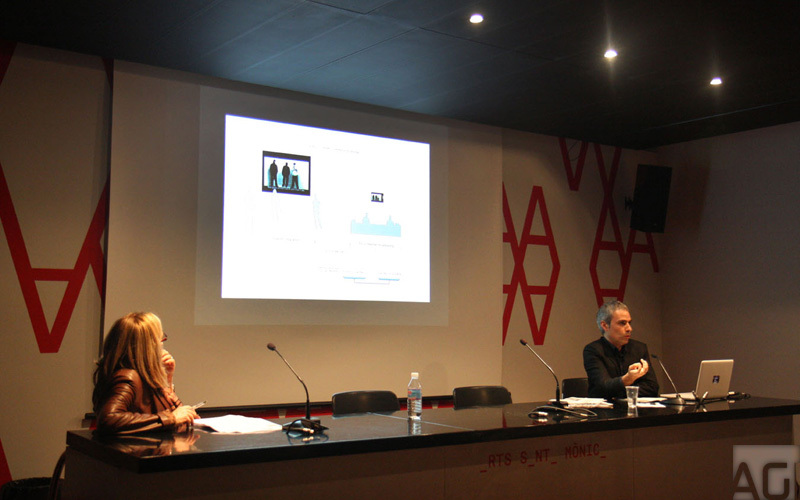 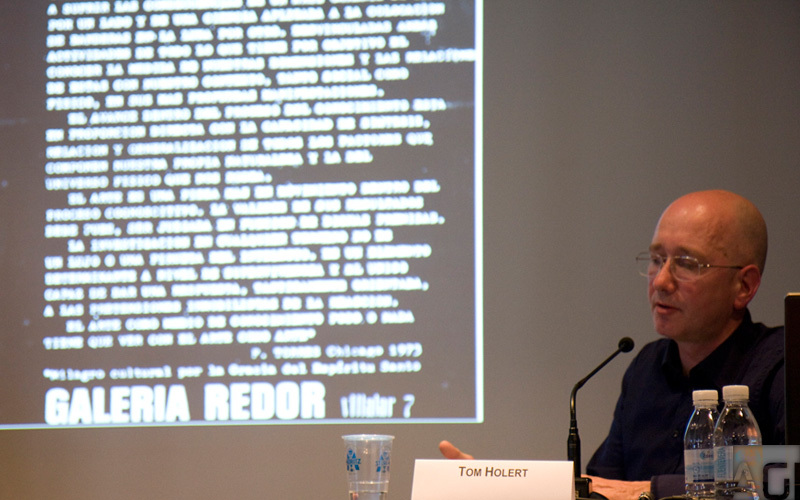 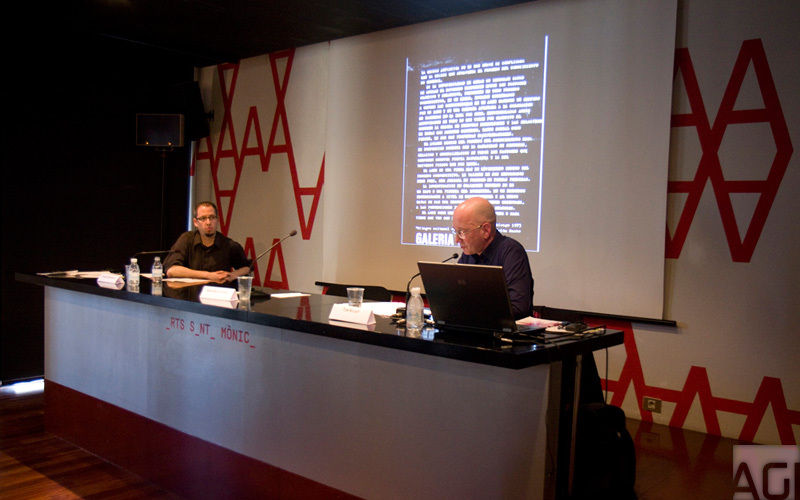 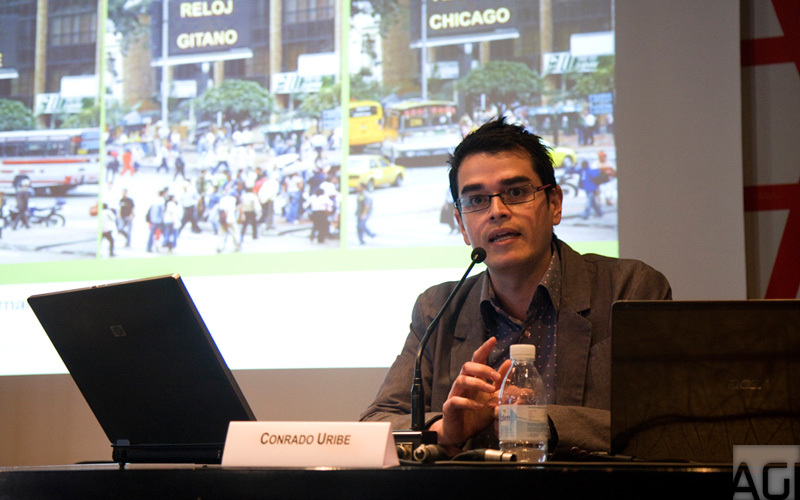 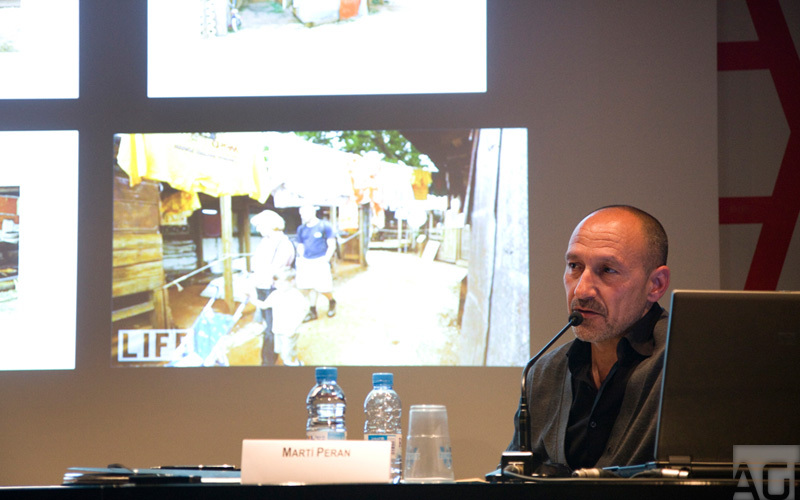 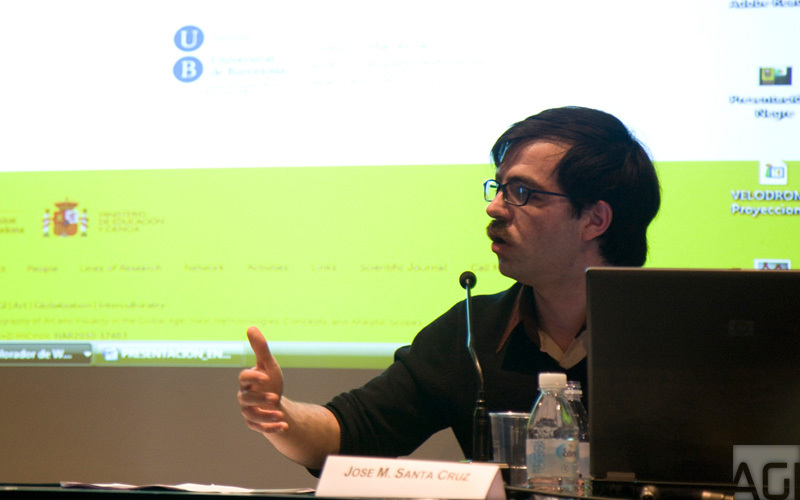 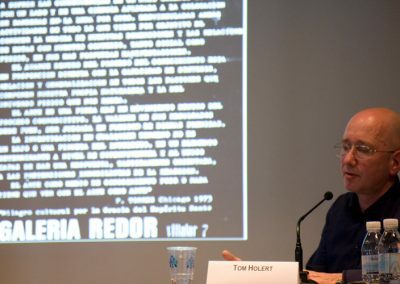 He is professor of Social Structures and Cultural Trends at the Universitat Pompeu Fabra and has been a member of the Greenroom Project dedicated to the analysis of contemporary documentary practices at the Center for Curatorial Studies at Bard College, New York. 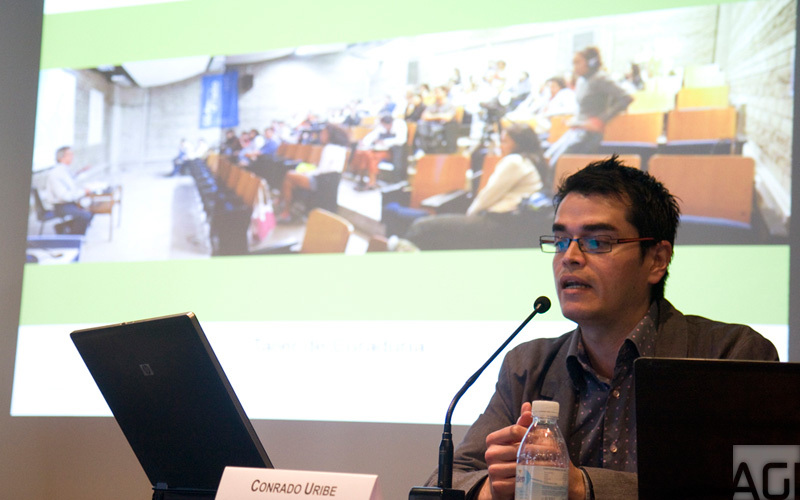 He has been visiting lecturer at numerous universities and institutions.